At Nu Flow Oklahoma, we specialize in drain cleaning and ensuring that our customer’s pipes function properly. Drains are a vital component of the sewer system in a home, and if you’re experiencing drain complications and require assistance, contact us for whatever you need and we will be happy to assist you. Promote safety. Drain cleaning services keep your home safe by preventing clogs from forming, ensuring that accidents like sewage backup or spills don’t occur. Our drain cleaning services are also safe to use, often relying on natural water in our hydro jetting process to clean the pipes, avoiding the use of hazardous chemicals. Save money. We save you money by professionally cleaning your drains and extending the life of your pipes by taking preventative measures to ensure that extensive repairs won’t be necessary. Thorough cleaning. 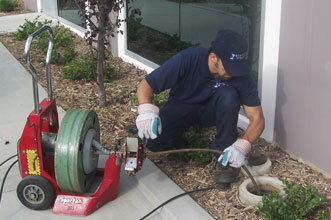 Our hydro jetting service effectively cleans the pipes and completely removes clogs and other substances in the pipes. This intense cleaning approach promotes proper flow and efficiency and helps prevent future clogs from forming by keeping the interior of the pipes consistently smooth. Our services allow us to prevent major accidents from occurring, and by scheduling drain cleaning services regularly, this saves you money and time by ensuring that your pipes will continue to function properly. Our professionals will take the time to keep your pipes in peak condition and make any repairs as needed. Nu Flow offers drain cleaning to give you the comfort of knowing your home will be safe from major accidents from occurring. We have the experience and knowledge to handle even the most complex problem and fix it properly. Our drain cleaning services are powerful and efficient, keeping our customers satisfied with our work and ensuring that the results are long-lasting.